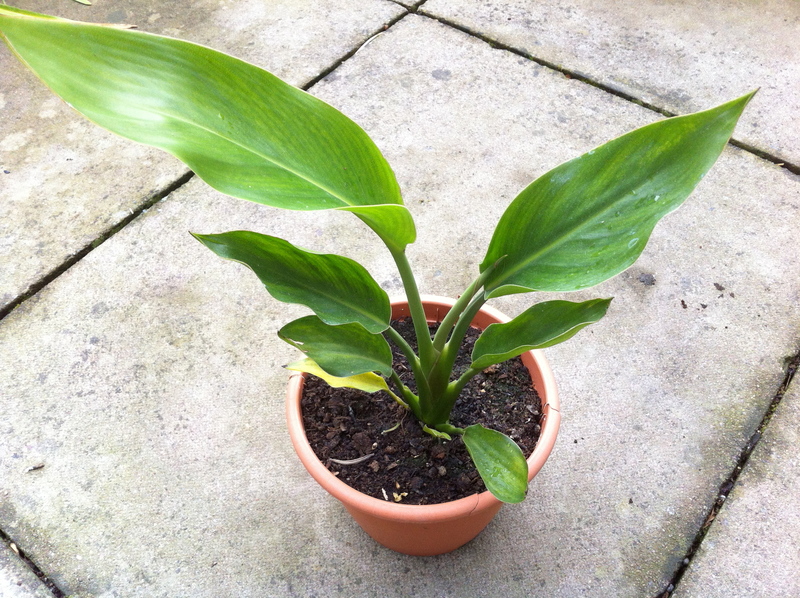 Strelitzia Reginae or the “Bird of Paradise” is one of my favourite plants and I am currently growing one from seed, expecting it to flower in the winter of 2015-2016. They take about 5-7 years to flower when grown from seed in the the UK, probably because the weather is so much worse than their native South Africa. It has taken me some time to get round to doing it, but I have finally taken a picture of my lone, treasured plant. This plant is coming up to two years old I think and it looks completely underwhelming. To me though, I like the large leaves with that tropical green colour, the thick trunk for what is still a small plant, the wavy edges to the leaves and being able to see the detail of the veins inside them. Look closer and you’ll just be able to see another leaf growing on the right-hand side. Each new leaf unfurls to be bigger than the previous until they reach the adult size of a few feet in length. There is still a long way to go but I am patient and can wait. I’ll make the flowering all the more special. I think I’ll stick with just S. Reginae. I may try S. Mandela’s Gold because I really like the bright yellow, but one plant has been enough for me so far. I don’t have room for more right now. I think there are dwarf S. available though, but I like the classic.